The unique iSOLATE501 RF barrier is the latest product in the iSOLATE range of intrinsically safe RF isolators from Extronics. Replacing the hugely successful and widely installed iSOLATE500, the iSOLATE501 utilizes the same ground-breaking RF isolation technology packaged in an even more compact housing. Perhaps the most remarkable innovation is the ultra-wide frequency band to which the isolator is compatible with. A single variant is available which enables the use of the iSOLATE501 on RF outputs ranging from 150MHz to 8GHz with minimal losses. This allows for simple deployment in wireless systems utilizing the new dual-band Wi-Fi standards. It has been certified as ‘simple apparatus’ which enables it to be interfaced with any of the iANT200 Series antennas listed below without further examination. It may also be used with many generic antennas subject to assessment by Extronics Ltd. – contact us with details of the antenna you would like to use. The iSOLATE-CT is designed for use with the iSOLATE501 range of galvanic RF isolators to enable quick & simple wireless deployments in hazardous areas. When fitted to an explosion proof enclosure containing the Extronics iSOLATE501, the RF ports of standard wireless radio device are protected by the intrinsic safety concept, facilitating their use in Zone 1 / Division 1 environments. 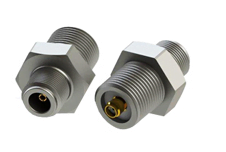 By the use of an IP66 industry standard ‘Type N’ RF connector, the need to make off cable glands is eliminated and installation made simple. Users no longer have to use a limited range of certified antennas and can quite simply live connect & disconnect the wireless antenna of their choice e.g. 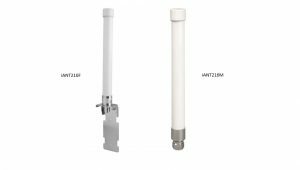 Extronics iANT200 range of high quality rugged outdoor antennas, which are IP66 for the most extreme and arduous environments. Any antennas not listed in the Extronics range must be assessed by the user to ensure they meet the requirements for installation of non-electrical equipment in hazardous areas. The iSOLATE-CT RF connector must be used with suitably rated ATEX/IECEx approved intrinsically safe apparatus or associated apparatus, appropriate for the Zone in which the equipment is to be installed. A – When deployed in either a safe area or Exd enclosure, the iSOLATE501 makes any RF output intrinsically safe from all known faults; AC, DC, Hazardous Transients. C – The iSOLATE-CT N type RF connector transit makes installation simple – no need for glands – use standard tools – live connect & disconnect of antennas. D – Allows a wide choice of antennas to be used without notified body assessment. Improved wireless performance from standard high-performance antennas – not limited range of certified omni antennas (user must assess risk as per guidelines for that country – Extronics iANT2xx range already assessed as safe to use).